Rugged Ridge Cargo liners provide complete protection for the cargo area of your vehicle to keep it looking factory fresh. Each liner is custom designed to fit your vehicle in every nook and cranny. The raised lip captures all spills, water and debris keeping your interior pristine. 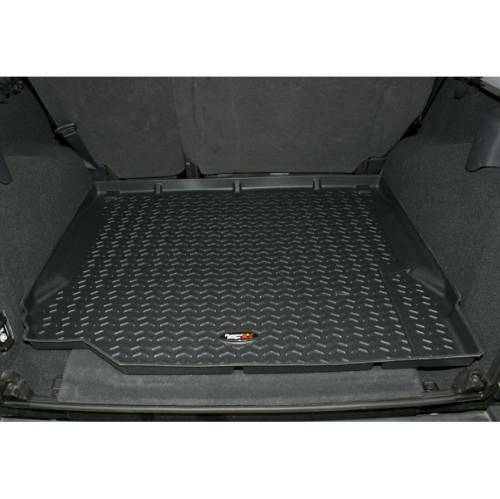 Made of a durable OE-quality Thermoplastic material these cargo liners can withstand the rigor of daily abuse. Backed by our Limited Lifetime Warranty.